Foreign investors considering the Japanese property market have those concerns and more. 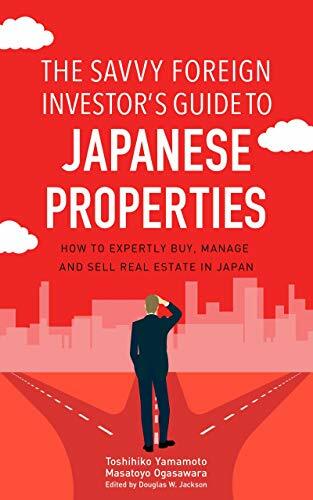 What aspects of the country do you as an overseas buyer need to know about to make an accurate assessment of investment potential, and what makes Japan worthy of your money? First of all, you should know that Japan is a viable place for real estate investment, and that several good options for investment exist. You can count on a good supply of viable properties, get a high yield on your investment, and depend on the rule of law to guard that investment. The country is politically stable, and the number of households growing despite a declining population. Let me talk a little about the latter phenomenon. Almost every foreign investor knows that Japan’s population is shrinking as a whole, despite having a fair number of foreign nationals entering the country. In fact, Japan faces what’s known as the “2025 issue,” with the population segment of those of productive age—15 to 64—falling to 70 million by that year, while those 65 and over will number 35 million. Another factor is that while Japan’s overall population is decreasing, the number of households is rising, because a lot more people are living alone. Twenty years ago most households consisted of a family with two kids, the stereotypical family unit. Now, however, young people are not getting married, and we have many elderly people living by themselves. According to the government’s official forecast, the number of households will increase to 54 million by 2025, as shown in Figure 1.1 below. The population of the Tokyo Metropolitan area, shown in Figure 1.2, is set to peak at just under 14 million in 2025. Figure 1.3 indicates the number of households in the Greater Tokyo Metropolitan area. People living alone, in fact, constitute the biggest segment of the market, which indicates that in general studio-type units would be better investments because they have more market potential. So Japan’s population decrease is being offset by that rise in the number of households. That is actually creating more demand in property of a certain type. The Greater Tokyo Metropolitan area in particular has a lot of potential for growth. In fact, the population of this urban region—which encompasses Tokyo, Kanagawa, Saitama and Chiba—is the world’s biggest, at about 38 million people. The majority of people who work in Tokyo live in these four prefectures. Kyushu’s Fukuoka Prefecture is also promising because its economy and population are both growing. With those things in mind, the areas to focus on now are the urban territories of Tokyo, Osaka and Nagoya, as well as Fukuoka in Kyushu and Sapporo in Hokkaido. Another key aspect is that the government is in debt but the country’s corporations and private citizens have overflowing coffers. Japan’s level of government debt is at 232 percent of national GDP, which is huge. Add social security spending, which is not included in this debt, and the government is in bad shape. By comparison, the United States is only at 111 percent, while the UK is at 115 percent and Germany is at 75 percent. Despite the government running at that ridiculous level over the past ten years or so, the financial market has not turned volatile. In another country that might result in currency dumping and more, but the yen still has solid value in the international financial markets. However, Japan’s corporate world is in good shape, with a lot of cash—according to a November 2017 story in the Asahi, around 22 trillion yen (US$220 billion) at the end of 2016—equal to almost 40 percent of national GDP. Companies have very few investment opportunities in the domestic market. Some big firms are making investments in overseas markets, but most are just fattening their bank accounts. And the Bank of Japan is still pouring in cash by setting the interest rate historically low—it’s in the minus range now. Unfortunately, the demand for government money is quite limited. Japanese households have even more money stashed away—1,824 trillion yen (US$18.24 trillion). Money just isn’t moving in Japan, and it isn’t creating any profit, maybe because the interest rate is so low. The Economist often criticizes corporations here because it’s bad to grow a company with so much cash. Still, businesses know that banks will never lend them an umbrella when it gets rainy. Everybody knows the government must raise the consumption tax, and it has already announced an upcoming hike from 8 to 10 percent in 2019, which should help. The UK has been pursuing an austerity policy for more than eight years, and politicians can talk on the BBC about raising the tax without fear of losing their jobs. Japanese politicians seldom discuss it, however, because they know voters hate the idea. So if you look only at the government’s finances, Japan is in trouble. The Times and the Economist are pessimistic about the Japanese economy as a whole; I know because I read those articles every day. But as you can see from what I’ve mentioned above, you get a totally different and much more stable image when you examine the financial status of Japanese corporations and individuals. Hotel properties are very hot because we have a boom in inbound tourism. The number of foreign tourists in 2017 was about 29 million, up 20 percent from 2016, and in 2018 we’re projected to have 30 million.